Just over a year ago, I experimented with an Android phone. I’d been curious about Android, and felt the best way to appreciate what it offers—and compare it to iOS—was to try it out in a real-world situation. This past Christmas, a visitor proudly showed my his Windows phone, and I was intrigued. After getting a good tour of the Windows Phone OS, I decided to buy a cheap, unlocked phone and try it for myself. I’ve been using it off and on for the past two months. While I wouldn’t switch from my iPhone, I’m quite impressed by what Microsoft has done. As with Android, there are lots of Windows phones to choose from. It’s not just a question of silver, space gray or gold; it’s a full line of phones at a wide range of prices, from multiple manufacturers. 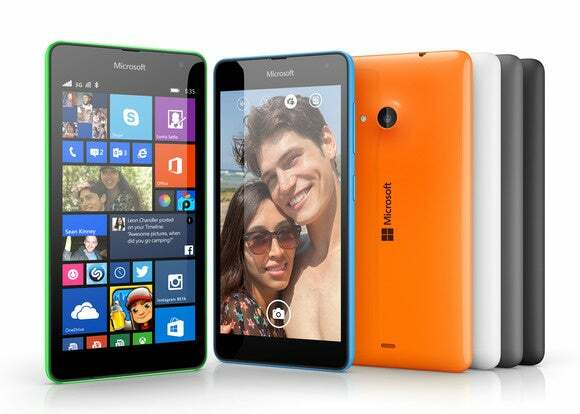 The phone I had seen at Christmas was the Lumia 930, Microsoft’s “flagship” phone, which is a well-built, attractive phone, but still about half the price of an iPhone. I didn’t want to spend that much money, so I opted for the £90 Lumia 535 (current price is the US, about $130–150). 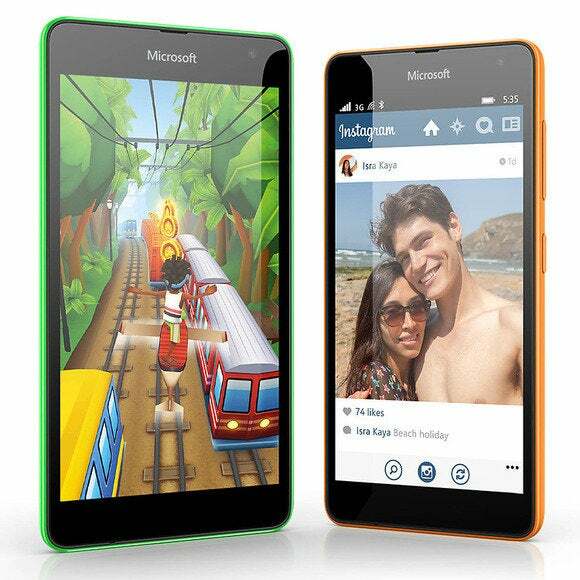 When I purchased it in January, the Microsoft-built Lumia 535 was the cheapest phone that shipped with Windows 8.1 Denim, the latest version of the Windows Phone OS. While it doesn’t feel as well crafted as an iPhone, it’s comfortable to hold; it’s not as slippery as the iPhone 6, in fact, making it a bit easier to hold on to. The 5MP camera doesn’t hold a candle to that of the iPhone, and the glass is certainly cheaper, but for the price, what do you expect? What interested me most in this phone is the operating system. As much as I found Android clunky and unattractively designed, I was very impressed by Windows Phone 8.1 (hereafter, Denim). Setting up the phone was a lot easier than setting up the Android phone, in part because Denim supports iCloud for contacts and calendars out of the box. You simply add your iCloud account, and you can access and update your data easily. With Android, third-party tools are often needed, making it a real headache. 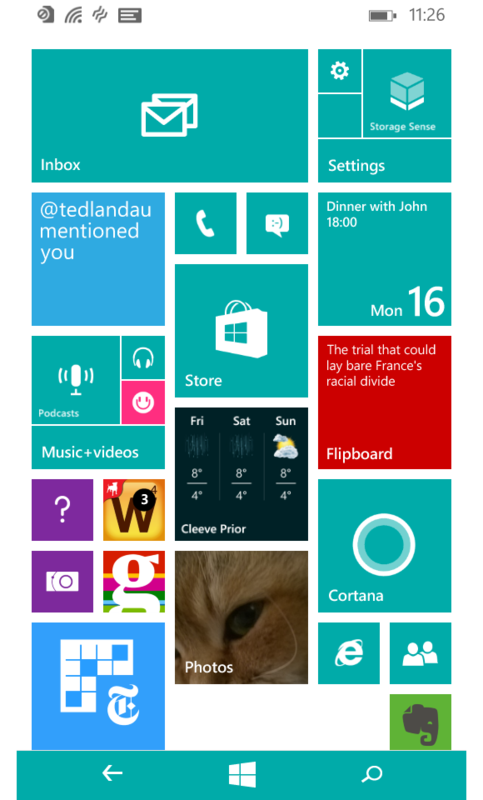 The marquee feature of Windows Phone is the tiles that you place on the main home (or Start) screen. 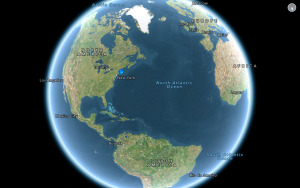 Each of these tiles is an app, contact, map location, website bookmark, Office file, album, or more, and they can be in three different sizes, as you can see below. I especially like the way you can alter the layout so it isn’t just a grid of icons. As you can see above, my home screen distributes different sized icons in different places, giving it a less organized look. It’s also scrollable—instead of being frozen at the size of the display, you can add more tiles and swipe up to see them. Note also that some of these tiles are folders: the Settings folder, at the top-right, and the Music+Videos folder on the left. Tap a folder tile and it opens to show the tiles it contains; tap once to launch its app or other items. You can choose an accent color for these tiles. I chose teal, but you can pick from 21 colors, and also choose a wallpaper image or photo to go behind the tiles. Live Tiles can be live—they update with the latest information, such as weather, sports scores, and news headlines. Unfortunately, they can also be annoying at times, like flashing ads on web pages. For example, I use Flipboard to keep up with the news, and that app’s Live Tile is constantly flipping between a red square with a headline, and a photo with a different headline. Depending on which apps you have on your home screen, you may have lots of tiles moving to show you what’s new. In addition, folders constantly cycle their apps across their tiles to show you what’s behind it. Windows Phone has a software “home” button, the Start button you can see at the bottom-center of the above screenshot. Tap that once to go to your Start screen. Swipe to the left to access other apps, ones that you haven’t added as tiles. The Back arrow takes you back to what you were viewing before, whether it’s a screen in the phone’s overall interface or an app—I’d love to see a standard Back button or gesture on the iPhone. Microsoft provides an OS X app called Windows Phone that allows you to sync content to their devices, and to copy files—such as photos—from the device back to your Mac. 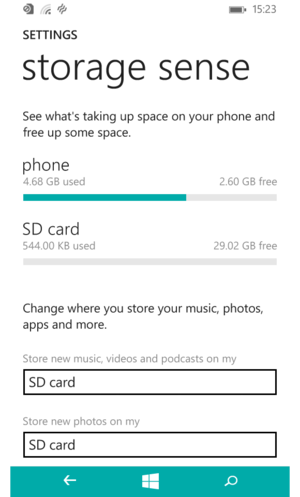 The Windows Phone app is a sort of iTunes lite for syncing content to a Windows Phone. It also works with something called a "Zune." And there’s the rub. Apps are the biggest problem with the Windows Phone. Sure, you have all the Microsoft apps, and if you’re a a Windows PC user, you’ll be right at home. But the overall app landscape is what’s hampering adoption of the Windows Phone. It’s a chicken and egg problem: If there are few apps, users are less likely to choose the platform, and low numbers of users (the Windows Phone worldwide market share in 2014 was a paltry 2.7 percent) don’t inspire developers to create apps. You’ll find the top games, the biggest social media apps (Facebook and Twitter, but only a beta of Instagram), and much more. Sheer numbers mean nothing; both the iOS and Android app stores are 90 percent dreck. But if key apps that you need are missing, then you won’t be tempted to buy this phone. One key feature iOS users would miss on a Windows Phone is iMessages; you’ll have to fall back on text messages or convince your friends to all get a cross-platform messaging app like WhatsApp. And of course, Skype (owned by Microsoft) replaces FaceTime, so you’ll still be able to video chat. And, of course, there’s Cortana, Microsoft’s Siri-like voice assistant. In my tests, it seems to work fairly well, though, for the first few weeks, it told me, “I can’t speak your language yet.” You’d think that U.S. English would be the first available language, but I think this was just a bug. One comment on the Windows Phone settings: the settings screen looks like someone just selected the order of the various settings at random. It’s extremely complicated to find what you’re looking for when you’re new to this device. The Windows Phone operating system truly surprised me. Once I got used to it, I found that I could do important tasks as quickly as on an iPhone, and at a far lower cost. 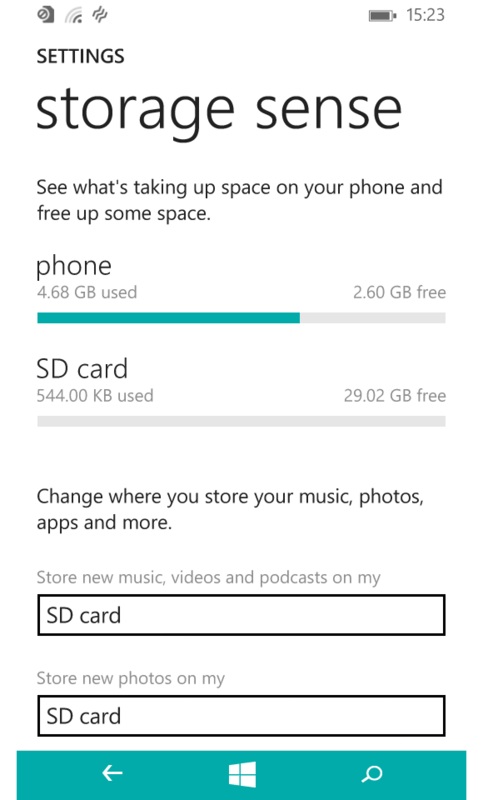 Even the top-of-the-line Windows Phone is half the price of an iPhone, and you can add an SD card to increase storage. I concluded my article about using an Android phone with this statement: “With an unlocked phone at this price, I wouldn’t hesitate to recommend Android to anyone who is not wedded to the Apple ecosystem.” This really is the key element to consider if you’re planning to switch to another platform: app lock-in. However, if I had to choose, I’d pick Windows Phone over Android in a heartbeat. It’s attractive, easy to use, and in some ways—because of the customizable home screen with Live Tiles—provides more actionable information than iOS. 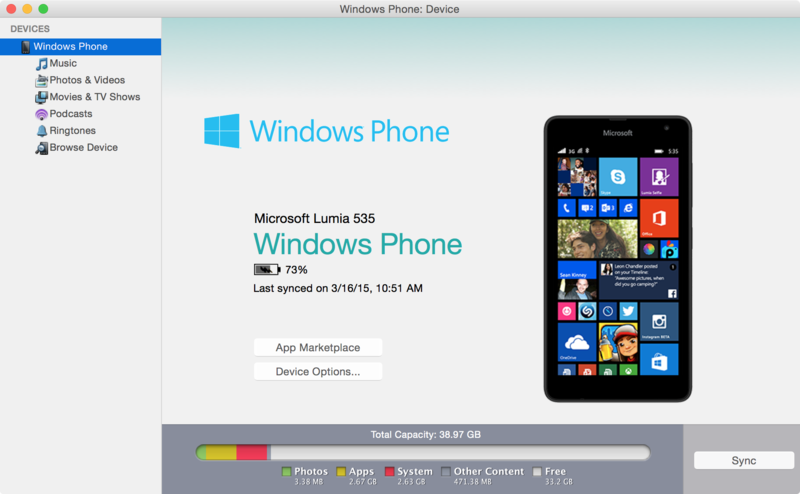 If you’re a Mac user, and don’t depend on too many iOS-specific apps, take a look at Windows Phone. You may be surprised too.